Content: There is some mild swearing and violence. It’s in the YA section (grades 6-8) of the bookstore, even though the characters are 18/19 years old. Eighteen years ago, the two princes of Island of St. John del Mar were kidnapped with the chief navigator and their nurse, never to be seen again. The king (and everyone, really) presumed them to be dead and went to war with a nearby island, Mondrago, ravishing it. Fast forward, and the king’s remaining son, Ulises, has become king, and his two friends, Mercedes — half Mondragan and Ulises’ cousin — and Elias, the son of the former chief navigator, have discovered some maps with a riddle about that fateful event 18 years ago. And, at the king’s command, Elias begins to look into it. What he finds is a complex and tangled riddle, full of lies and information that will shake not only Elias’s beliefs, but perhaps the entire kingdom. On the one hand: this was a compelling book, and a fantastic idea. I liked both Elias and Mercedes (who were roughly our narrators; it was written in third person, but we never followed Ulises around), and I loved the twists and turns as Elias uncovered information about the princes’ disappearance. What held me back from really loving the book, however, was that I felt that Lucier told me what was going on rather than showing me. There was a LOT of exposition, and a lot of narrative, which isn’t necessarily bad, but what it did was keep me at an arm’s length. Like, Elias and Mercedes ended up falling in love (mild spoiler), but I had absolutely no connection to that. At all. There were strains of racism and sexism, but I felt like it was all at a distance, and never really connected with any of it. Which is too bad. I really wanted to love this one. Content: It’s got a few fantasy elements, but is more realistic fiction. 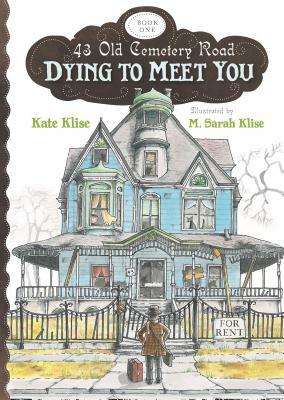 It’s probably longer than emerging readers can mange, but I think it’d make a great read-aloud. It will be in the middle grade section (grades 3-5) of the bookstore. This book, for a myriad of reasons, is highly implausible. A 12 year old girl biking alone across the country? Making friends with a ghost? Ending up with a super high-tech bicycle? Attending the Kentucky Derby for free? All probably not going to happen. 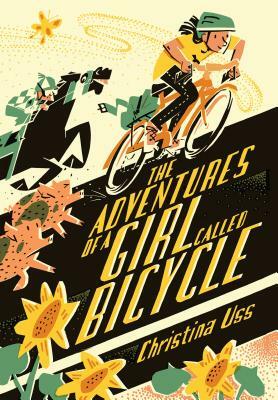 However, that doesn’t mean this first book by Uss, an avid biker herself (she biked across the U. S.!) any less enjoyable. Bicycle is a delightful character to spend a book with as she branches out (maybe in an overly extreme way) and tries to make friends and experience things for herself. Though, to be fair, I wouldn’t want to be sent to the Friendship Farm, either. It’s incredibly charming and ultimately heart-warming and inspiring as Bicycle (and Uss) finds the best parts of this vast country. Hand this to anyone who wishes they had the time and freedom to see the country the slow way. Content: While there isn’t any swearing or on-screen violence, the themes are quite intense. I go back and forth as to where this should go. 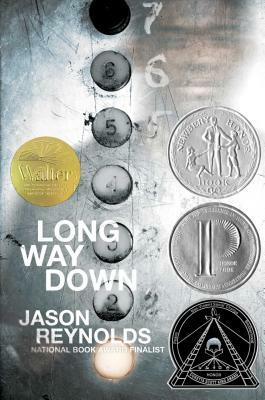 One of my co-workers insists that 10-year-old kids shouldn’t be reading it, so doesn’t like it when I stick it with the Newbery Books (even though it got an honor). I’m not sure it needs to be in the Teen (grades 9+) section, though, so I may compromise by putting it in the YA (grades 6-8). Will’s older brother, Shawn, has been shot dead. And so, Will believes, it’s his duty to hunt down the person who shot Shawn (and he’s sure he knows who it is) and kill them. After all, that’s part of the rules: Don’t cry, don’t snitch, and always get revenge. But, on the elevator with a gun tucked in his pants, Will encounters ghosts of his past, every single one of whom has been killed by gunshot. The ending is left open: will Will follow through, or won’t he? But, it’s these conversations with the ghosts — all told in verse — that left me shook. The toxic masculinity is rampant and obvious (at least to me, an outsider): if someone shoots someone who then shoots someone, then (of course) someone else will have to shoot that someone. It’s a vicious cycle that just leaves everyone dead. (What is that adage? An eye for an eye just leaves everyone blind?) It’s awful. 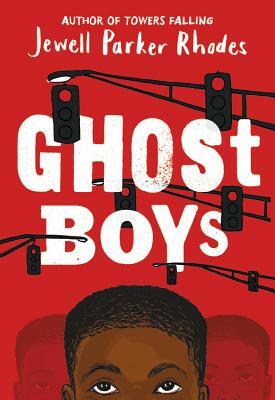 And culture, tradition, racism, oppression, expectations… they don’t let these boys grieve the way they need to grieve. (And don’t get me started on gun culture.) I’m not entirely sure that’s what Reynolds was trying to get across, but that’s what I (again, as an outsider) got out of it. Hopefully, books like these will help bring awareness to this. And maybe we can all stop killing each other just because of the color of our skin. Content: There are some tough issues here, but all the violence is either handled delicately or is off stage. 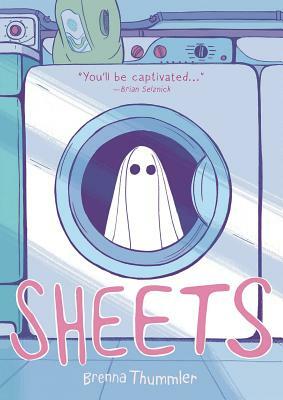 The publisher has it for 10 and up, so I will probably shelve it in the YA section (grades 6-8) at the bookstore, but it would be good for curious 4th and 5th graders. Twelve-year-old Jerome is shot by a white police officer while playing in the park. He had a toy gun, and the officer thought he was being threatened and therefore shot Jerome. If that sounds familiar, it’s intentional. The book isn’t about the shooting, exactly. It’s told from Jerome’s perspective, after his death. He’s a ghost, hanging around, angry he is dead, and wondering what his purpose is. From there, we learn in flashbacks how he came to be shot, as well as following the preliminary hearing (in which the white officer gets off), and learn about Emmett Till’s murder in Mississippi in 1955. The point of the novel, however, isn’t about the story. It’s about the feelings this kind of murder generate. The sadness and anger in Jerome’s family. The questioning by the daughter of the officer. The sheer number of black boys that have been murdered. But also hopeful feelings: the friendships that come out of a tragedy like this. While it’s a bit on the heavy-handed side, I think that was done intentionally. 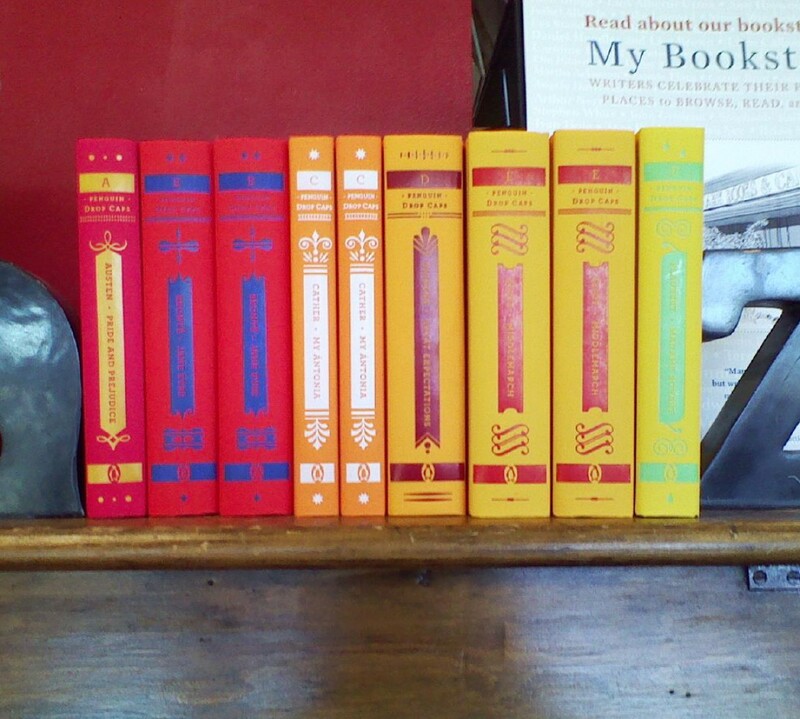 Rhodes wants to get her readers — many of whom are young — thinking about why this happens. About underlying racism. About seeing the “other” as, well, not “other”. And I think she wants to get a dialogue going, because if we don’t talk about these things, our culture won’t change and black men and boys will keep getting murdered. It’s a quick read, and definitely a worthwhile one for kids (and adults!) to read.